If one starts a discussion on precious metals, there’s only a remote chance that the name of Eric Sprott won’t be mentioned in that discussion. There are very few people who can boast of having made a fortune betting on gold and silver like Mr. Sprott has. 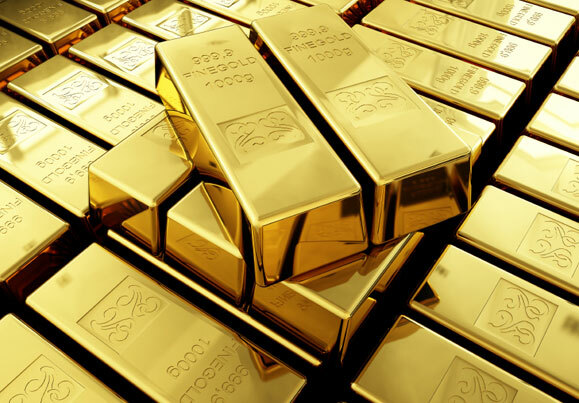 Although he retired from active portfolio management duties at his firm, Sprott Asset Management, in January of this year to focus on his role as its Chairman and Chief Investment Officer, his opinion on the future trajectory of gold and silver is still followed and valued by most precious metal speculators. Sprott Asset Management recently filed its 13F with the SEC for the reporting period ending September 30, which revealed that its U.S equity portfolio at the end of that period was worth slightly over $1.63 billion. Given Mr. Sprott’s reputation as a maverick gold trader, we felt it would be worthwhile to take a closer look at Sprott Asset Management’s Top Gold Stock Picks and analyze them in detail. Read further to know which are the top five gold stocks that Mr. Sprott is betting on currently. Professional investors like Mr. Sprott spend considerable time and money conducting due diligence on each company they invest in, which makes them the perfect investors to emulate. However, we also know that the returns of hedge funds on the whole have not been good for several years, underperforming the market. We analyzed the historical stock picks of these investors and our research revealed that the small-cap picks of these funds performed far better than their large-cap picks, which is where most of their money is invested and why their performances as a whole have been poor. Why pay fees to invest in both the best and worst ideas of a particular hedge fund when you can simply mimic the best ideas of the best fund managers on your own? A portfolio consisting of the 15 most popular small-cap stock picks among the funds we track has returned 102% and beaten the market by more than 53 percentage points since the end of August 2012 (see the details). After a steady 50% rise during the first half of the year, shares of Canada-based gold exploration and development company Lake Shore Gold Corp (NYSEMKT:LSG) lost 20% during the third quarter. During the same period, Sprott Asset Management reduced its stake in the company by 5% or 664,400 shares. On October 29 the company declared its third quarter results, reporting a net loss of $0.6 million on revenue of $63 million. For the same quarter last year the company had reported a profit of $7.65 million on revenue of $63.51 million. Following the earnings release, analysts at Barclays reiterated their ‘Outperform’ rating on the stock. Joel Greenblatt‘s Gotham Asset Management reduced its stake in Lake Shore Gold Corp (NYSEMKT:LSG) by 3,171 shares to 34,574 shares during the April-June period. Although Sprott Asset Management diluted its stake in Goldcorp Inc. (USA)(NYSE:GG) by 69% or 449,864 shares during the third quarter, it added 135,000 call options underlying shares of the company during the same time, and at the end of September held call options underlying 769,000 shares of Goldcorp Inc. (USA)(NYSE:GG) worth $9.63 million. Shares of the company saw an over 30% rise in January, but have receded continuously since then and currently trade down by 30.94% year-to-date. On October 29, shares of the company lost more than 10% in a single day after it reported its third quarter results. While analysts were expecting the company to report EPS of $0.05 on revenue of $1.10 billion, it reported a per share loss of $0.04 on revenue of $1.30 billion. Just like the fall in its stock price, the company has also cut its monthly dividend continuously in the past few months. It currently pays a monthly dividend of $0.02 per share, significantly lower than the $0.06 per share it paid not long ago. With ownership of over 38 million shares, First Eagle Investment Management was the largest shareholder of the company at the end of June among the investment firms tracked by Insider Monkey. Three more gold stocks glitter on the next page, don’t miss them.